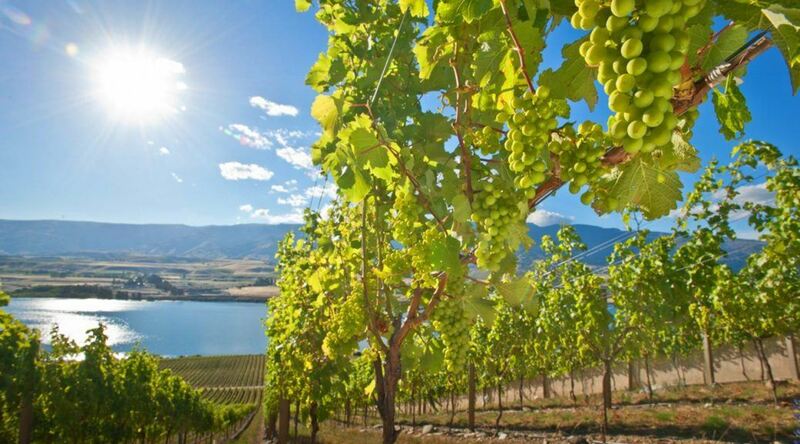 In the past few decades, New Zealand has earned a solid place on the global wine market, particularly with the popularity of its Sauvignon Blanc. But red wine lovers should take note; in addition to the zingy and zesty white grape that put New Zealand on the map, this coastal country has steadily mastered the craft of another popular grape: Pinot Noir. Taking advantage of the cool climate, mild rainfall and free-draining soils, New Zealand vintners have found ideal locations for growing Pinot Noir. The resulting wines offer a yin and yang of Old World earth and elegance, and New World fruit ripeness. New Zealand Pinot Noir is clearly Pinot Noir, with a purity of fruit and elegant structure. The most successful Pinot Noir regions in New Zealand include Martinborough, which lies on the southern tip of the North Island, Marlborough, on the northern tip of the South Island, and Central Otago, the only continental climate region of the country, nestled in the southern hills on th e South Island. Take note of Hawke’s Bay and Canterbury as well – the Pinot from these regions continues to grow. The coastal regions of Martinborough and Marlborough produce Pinot Noir full of bright red fruit and vibrant acidity. 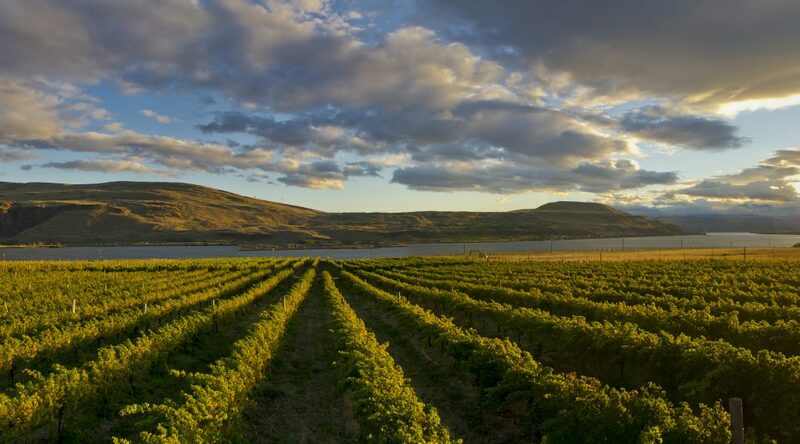 Down in Central Otago, Pinot Noir takes on a deeper flavor, with a savory texture and layers of complexity. They can be enjoyed now or evolve in your cellar. As a whole, New Zealand Pinot Noir is ideal for the dinner table; with its excellent acidity and gentle structure it pairs with a number of dishes. Once Pinot Noir lovers discover this region, they find themselves drawn to the quality and value offered in the wines. These are the kind of wines that beg for another sip, linger on your palate and make you wish you had another bottle. Located along the Atlantic Ocean in the Southwest area of France, Bordeaux is the largest major wine appellation in the country. It offers 65 sub-appellations within its borders, and boasts over 277,000 acres of land under vine. While red wines account for 85% of the total production in Bordeaux, there is also dry white, sweet, rosé and sparkling styles produced – something for everyone. Thanks to modern vineyard and cellar practices, very good to great wine can be produced in Bordeaux each year. With its maritime and variable climate, vintage variation is common, with some years being riper, more opulent and powerful, while others are more ‘classic’ in style, with more subtle flavors and lighter body. As the notion of red Bordeaux as an exclusive collector wine dwindles, more consumers see the value and quality of Bordeaux at all price points. In fact, modestly priced Bordeaux has never been better. As indicated earlier, improved vineyard practices and more plot-by-plot viticulture in Bordeaux have resulted in some of the best values on the market, with wines that are clean and complex, but still anchored to a true sense of place. So now you ask, where to start when you search for a great – yet affordable – Bordeaux for your dinner table? A few tips for the beginner Bordeaux drinker. Sometimes the stars align just right and the weather in Bordeaux is perfect through harvest, the vines stay healthy and vignerons pick just at the right moment. Critics praise this as a “great” vintage. When one of these years come around, snagging any bottle of wine even when you are not sure of the producer is a safe bet. Healthy grapes make great wine. The most recent great vintages were 2015 and 2016, though some 2016 have not made it to the global market yet. 2014 was also very good, noted as more elegant and less bold or opulent so if you enjoy subtle and refined, 2014 may be your year. Bordeaux and Bordeaux Superior wines from these vintages are ready to be enjoyed now, though could evolve even more in your cellar over the next few years… up to you! Either way, with the quality out there, it’s time to stock up! Once operating as their own entities, the “côtes” of Bordeaux joined forces to create “Union de Côtes de Bordeaux.” Previously labeled as Côtes de Castillon or Côtes de Francs, these regions now promote a larger Côtes de Bordeaux association as Francs, Côtes de Bordeaux or Castillon, Côtes de Bordeaux. This allows smaller, lesser-known regions to better associate with the more internationally recognizable name Bordeaux. These Côtes are on the right bank, meaning red wines predominantly based on the Merlot grape. Typically more approachable when young, the Côtes wines are affordable, intensely flavored and delicious. Strong producers typically fare well no matter what mother nature delivers. Certain producers, the ones you see year after year on the shelf, craft great wine in nearly every vintage, whether it’s good, very good or great. Not to say the wine will taste the same year-to-year (that’s the beauty of Bordeaux), but the quality will be consistent and worth enjoying. Bordeaux creates some of the most food-friendly wines in world, and when you can get top quality at incredible prices, it deserves a place on the table. Enjoy! Garnacha, one of Spain’s signature red wine grape varieties, is known and loved as “Grenache” in France, where it enjoys exceptional plantings in the warm Mediterranean climate of Roussillon. While staking claims on being one of the oldest and widest planted red wine grapes in the world, with its origins firmly planted in the varied terroirs of Spain and France, the EU boasts over 97% of the grape’s plantings on an international level. 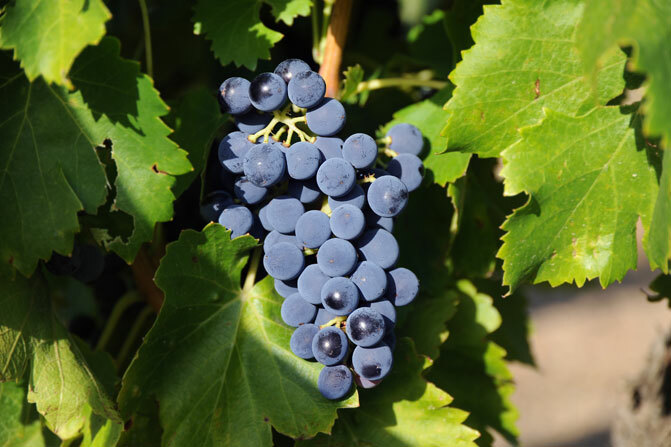 Garnacha/Grenache – The Grape: Early to bud, often last to harvest, this hardy, thin-skinned red grape is thought to have originated in the landlocked region of Aragon in northeastern Spain. Because Garnacha/Grenache acclimates quickly to the varying demands of crazy continental climates as well as the warm weather patterns of the Mediterranean like a champ, it is a go-to grape for all sorts of winemaking missions. From world class rosés to concentrated collectibles and fortified favorites, and routinely bottled as a key contributor in synergistic blends or flying solo as a single variety, Garnacha/Grenache brings plenty of vinous charm and outright versatility to the winemaker’s cellar. After all, what other single grape variety can lay creative claim to red, white, and rosé, dry, off-dry, and sweet, fortified along with sparkling wine renditions? 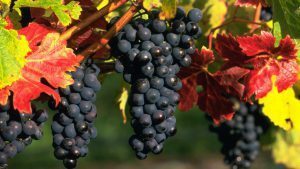 Pairing Picks for Garnacha/Grenache: With its less intense acidity and tamer tannin levels offset by ripe fruit forward flavors, European-style Garnacha/Grenache is a versatile, food-friendly partner for all sorts of delicious fare. A natural for grilled meat, smoked baby back ribs, a mix of regional barbecue, burgers, brats and brisket, chorizo and shrimp paella, seasonal gazpacho, Serrano ham and Manchego, slow roasted lamb, chicken stuffed with chorizo, lentils, the Paleo favorite of bacon-wrapped dates, spicy tacos and burritos, hearty stews, and meat lover’s pizza, Garnacha/Grenache promises and delivers some serious pairing partnerships. Today, Garnacha/Grenache finds firm footing throughout Spain and the Roussillon region of France. In Spain, the most passionate producers and classic wines can be found from these five DO regions: Campo de Borja, Terra Alta, Somontano, Cariñena and Calatayud. Campo de Borja, the self-proclaimed “Empire of Garnacha,” was the first to embrace and develop the concept of modern varietal Garnacha wines. 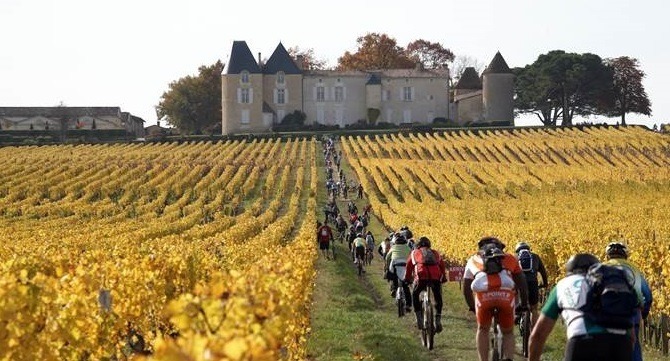 Its picturesque wine route is a haven for wine country tourists. Terra Alta, the white Garnacha specialist, delivers mineral-driven wines that highlight the grape’s versatility. Somontano approaches the grape with a New World spin, crafting luxury wines built to age. Cariñena is an up and coming region that combines altitude, wind, significant diurnal temperature swings with old vine concentration, but let’s face it Cariñena is not quite a household name (yet!) for Spanish wine growing regions, which means that the price to quality ratios are still stellar. Calatayud often delivers its Garnacha in a versatile light. From intense, hot pink rosés to full throttle, full-bodied high-octane reds. Grenache is the enterprising go-getter of Roussillon, backed by 28 centuries of vineyard prowess and a coveted Mediterranean climate, this French wine growing region is bringing laser-like focus to biodynamic and organic wine offerings. From the Spanish border along the coast, the Roussillon region caters to old Grenache vines that produce both dry and fortified wines from the grape. Classified as PDOs (Protected Designation of Origin) by the European Union, wines from all of these regions are upheld to strict standards to ensure the highest level of quality. Wild Yeasts: Some winemakers favor the use of wild yeasts during fermentation. This practice can be challenging as the winemaker has less control over which exact yeasts are present, but the technique also enhances the grape’s authentic characteristics in the wine and adds complexity. Barrel fermentation and/or aging: Aromatic grapes (like Albariño) typically avoid oak. Barrel contact can dull or mute the aromatics and freshness of the grape, which leaves the wine flabby and uninteresting. But in certain years (particularly warm ones that produce riper, richer grapes), controlled barrel fermentation or aging can truly enhance Albariño — adding texture and extending the wine’s potential to age. More winemakers are experimenting with this option. Lees Aging: Those little particles post-fermentation can be pretty powerful. The lees, otherwise known as dead yeast, are often removed immediately following fermentation. However, allowing the wine to stay on the lees can add tremendous benefit. Producers in Rías Baixas are using this technique to highlight texture, flavor and freshness. These different techniques ensure that tasting Albariño will never be boring. Stock up on a few bottles to experience the unique styles of each!